A couple of days ago the rumor mill was abuzz with rumors that the Cupertino California company would be releasing a low cost iPhone this summer. 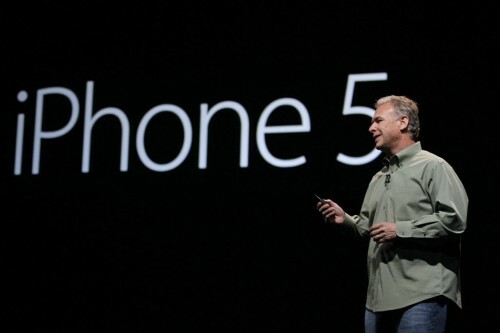 To put things in perspective, this is not the first time we have heard rumors about a smaller and cheaper iPhone. These rumors have been around since last year but now SVP of Worldwide Marketing Phil Schiller has officially confirmed that the company has no plans whatsoever of making a low cost iPhone. Samsung has clinched the title of the world’s biggest smartphone vendor from Apple, but we should not forget that Apple only releases one iPhone per year whereas Samsung’s sales figures are of over 50 low, medium and high cost devices that it released over the year. Speculation of a low cost iPhone stemmed from the observation that maybe Apple wanted a piece of the low cost smartphone market. The company did make an entry in the mid-range tablet market by releasing iPad Mini late last year, which further cemented popular belief that a low cost iPhone was on the way. In an unprecedented move, a high ranking Apple executive has addressed these rumors. The company generally remains tight lipped about its plans and never really comments on rumors. Speaking exclusively with a Chinese newspaper, Phil Schiller said that manufacturing a low cost iPhone was not Apple’s product development direction. Apple says it is so because they focus on user experience and high product quality as opposed to greater market share. A smaller product line effectively ensures greater accessory as well as software compatibility. Moreover, it also ensures consistency in quality apart from offering an unparalleled user experience. Anyone who has ever come in contact with an iPhone would agree that the iPhone has been meticulously developed, using finest materials and unmatched craftsmanship. This is just one of the reason why the iPhone remains one of the best selling smartphone globally, despite strict competition from the likes of Samsung. For now the low cost iPhone rumors have finally been put to rest. There exists a possibility that Apple might change its product development direction altogether in the future.